Teeth whitening, teeth alignment and a range of treatments to boost self-confidence and realize your great smile. Teeth whitening, teeth alignment and a range of treatments to boost self-confidence and realize your great smile. Teeth whitening, teeth alignment and a range of treatments to boost self-confidence and realize your great smile. We welcome the whole family and offer a bespoke service putting you and your needs first and foremost. We welcome the whole family and offer a bespoke service putting you and your needs first and foremost. We welcome the whole family and offer a bespoke service putting you and your needs first and foremost. The dental surgery is located in a scenic, quiet residential area on the edge of town. Patients find this location very calming. We have the convenience of our own on-site car park and further aim to make your visit to the dentist as relaxing as possible in our comfortable waiting area which offers a children's corner stocked with toys and books. Finding a Dentist we can establish a trusting relationship with is no easy task. We all want a gentle and stress-free experience delivered in a caring and professional way. Affordable, superior quality dental care in a pleasant, comforting and friendly environment should be the norm, not the exception. 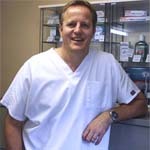 Scale and polish treatments to ensure teeth are thoroughly cleaned and advice on diet and individual home care regimes. We go out of our way to make children's dentistry as enjoyable, fun and pain-free as possible. We use direct measurements, x-rays, study casts and photographs to aid treatment planning. We offer a Professional teeth whitening service in the practice. Veneers can make your teeth look natural and healthy, improving the colour, shape and position of your teeth. We have a variety of oral health products available from our reception. Please ask the dentist for advice.